It’s a New Year and those resolutions can really become a taskmaster. 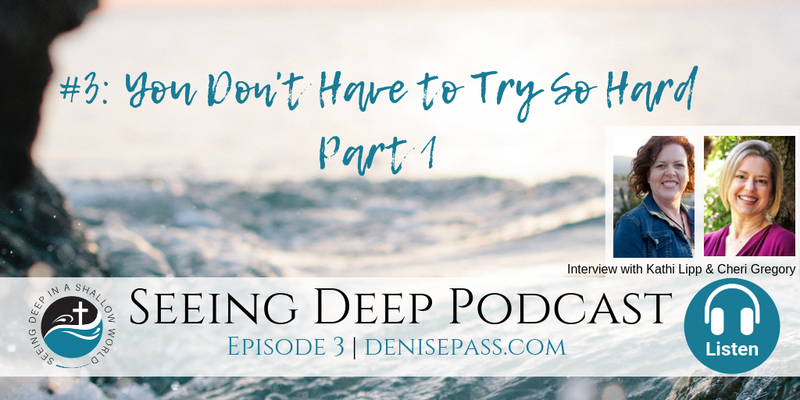 Listen in to this episode as Denise interviews authors Kathi Lipp and Cheri Gregory to discuss their new book, “You Don’t Have to Try So Hard: Ditch Expectations and Live Your Own Best Life”. Maybe achieving our goals is not so hard, after all. What do you try so hard to do? Leave a comment to be entered to receive a free copy of “You Don’t Have to Try So Hard”. Links for resources from today’s show are below. 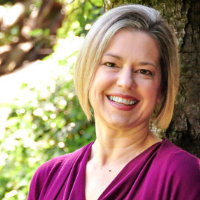 Kathi Lipp is a full-time speaker and writer as well as being the parent of four young adults with her husband, Roger in San Jose, CA. When she is not doing laundry, she is speaking at retreats, conferences and women’s events across the US. Cheri blogs about breaking free from perfectionism and people-pleasing, and being an *HSP, at www.CheriGregory.com and www.SensitiveAndStrong. 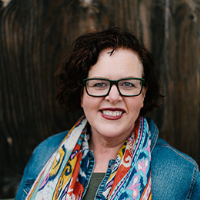 She also co-hosts a podcast called “Grit ‘n’ Grace: Good Girls Breaking Bad Rules” with Amy Carroll: www.GritNGraceGirls.com Cheri has a BA in English, an MA in Leadership, and is pursuing her PhD in Leadership.